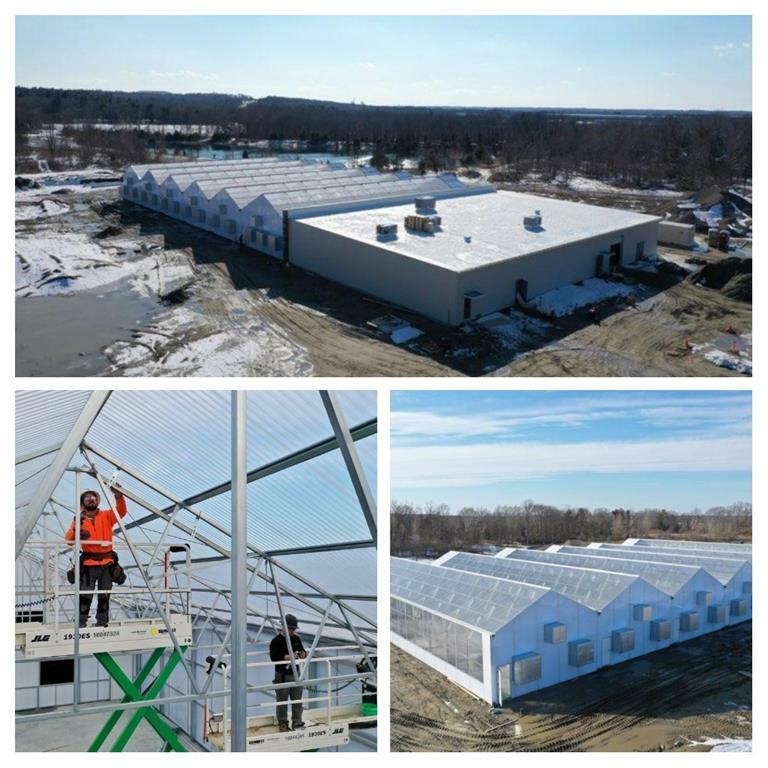 AmeriCann's construction of the MCC project has progressed rapidly, and Building 1, a 30,000 square foot cultivation and processing facility, is scheduled for completion in the summer of 2019. AmeriCann has a Joint Venture Partnership with Bask, Inc. that will operate Building 1 in a 15-year partnership. The Building 1 project cost is in excess of $7,500,000 and is expected to create 30 new direct jobs in the area. More than a dozen companies have been retained for construction of the facility, which is being overseen by CBRE on behalf of AmeriCann. AmeriCann uses greenhouse technology, which is superior to the current industry standard of growing cannabis in warehouse facilities under artificial lights. According to industry experts, by capturing natural sunlight, greenhouses use 25 percent fewer lights, and utility bills are up to 75 percent less than in typical warehouse cultivation facilities. The company's Cannopy System enables cannabis to be produced with a greatly reduced carbon footprint, making the final product less expensive. "We developed our Cannopy System and designed the MCC to produce clean, high-quality cannabis," says Tim Keogh, CEO of AmeriCann. "The completion of the greenhouse exterior represents an important milestone for us and reaffirms our commitment to sustainable cultivation and processing." This press release contains "forward-looking statements" within the meaning of Section 27A of the Securities Act of 1933, as amended, and Section 21E of the Securities Exchange Act of 1934, as amended (the "Exchange Act") (which Sections were adopted as part of the Private Securities Litigation Reform Act of 1995). Statements preceded by, followed by or that otherwise include the words "believe," "anticipate," "estimate," "expect," "intend," "plan," "project," "prospects," "outlook," and similar words or expressions, or future or conditional verbs such as "will," "should," "would," "may," and "could" are generally forward-looking in nature and not historical facts. These forward-looking statements involve known and unknown risks, uncertainties and other factors which may cause the Company's actual results, performance or achievements to be materially different from any anticipated results, performance or achievements. The Company disclaims any intention to, and undertakes no obligation to, revise any forward-looking statements, whether as a result of new information, a future event, or otherwise. For additional uncertainties that could impact the Company's forward-looking statements, please see the Company's Registration Statement on Form S-1, which the Company recently filed with the SEC and which may be viewed at www.sec.gov.